The Perry Mason TV show was a 60 minute drama series on CBS about a Lawyer that kept a lot of innocent people out of prison! If you were accused of a crime you didn't commit but all of the evidence pointed to your guilt, Perry Mason was your only hope! The best part of this fine series was in the last few moments of each episode when Perry Mason turned to the actual guilty party in the courtroom and stated proof of their obvious guilt. 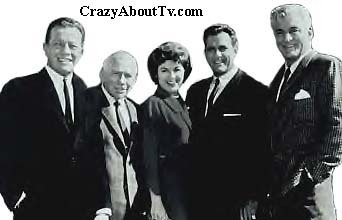 While the numerous reunion movies were good, they never quite equalled the quality or suspense of the TV series. There was also a Perry Mason radio show that aired daily as a serial for approximately 3000 episodes from 1943 to 1955! Thank you for visiting our Perry Mason page!